GamingZion's review about theLotter - it's most important features and offers. 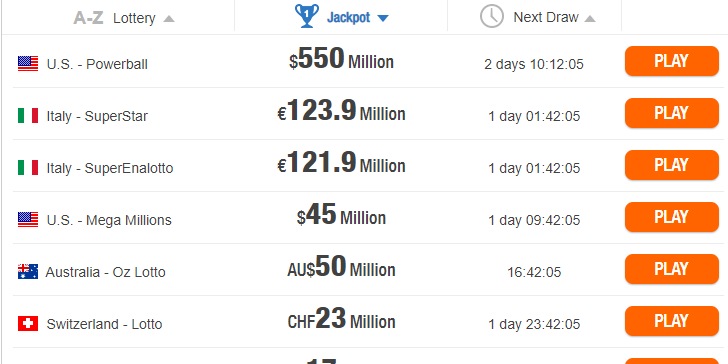 If you plan to play lotto online, make sure you check this first! Claim discounts while purchasing official lottery tickets in multi-draw purchases and get VIP points. Bottom line theLotter is available almost everywhere in the world, except for a very few number of countries. The most impressive feature of theLotter is definitely the lack of discrimination on the site. Everyone above the age of 18 is welcome to join theLotter and start to play. They didn’t pin a single country – not even one – where it would be impossible to play. However, the MGA license – which proves their trustworthiness – makes the site unavailable in certain countries, such as the USA, Canada or Australia, for example. Another outstanding service they provide is when it comes to customer care. The live chat is a must in today’s world. You can also drop them a mail or give them a toll-free call on several numbers. In addition, you can seek help via Facebook Messenger, Telegram, Viber and WhatsApp as well. Whichever method you pick, all your problems will surely be dealt with shortly. Speaking of methods, we need to talk about banking as well. Apart from VISA and MasterCard, they accept several alternative banking methods. Paysafecard, Skrill, Neteller, Trustly, Sofort… these are only a few. You will probably find a way to charge your account with a few bucks – or more. As mentioned before, all players can join the site legally, no exception. In addition, players also have the option to download theLotter app from the Google store and play online lotto games anywhere they are – with their smartphone at hand. Around 50 online lotto games are available, and you can win money on all of them! 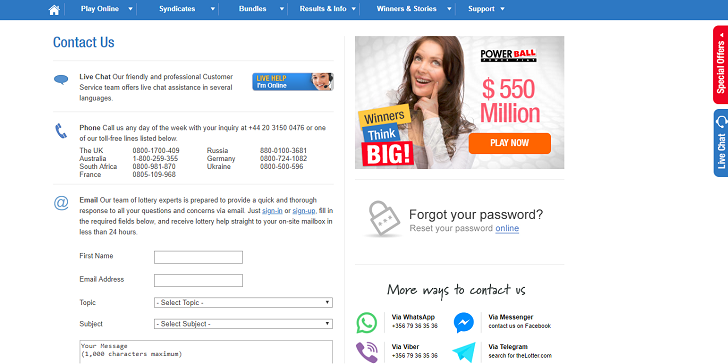 For buying online lotto tickets, you get special offers and bundles as well. With those, you can buy several combinations to enhance your chances of winning. 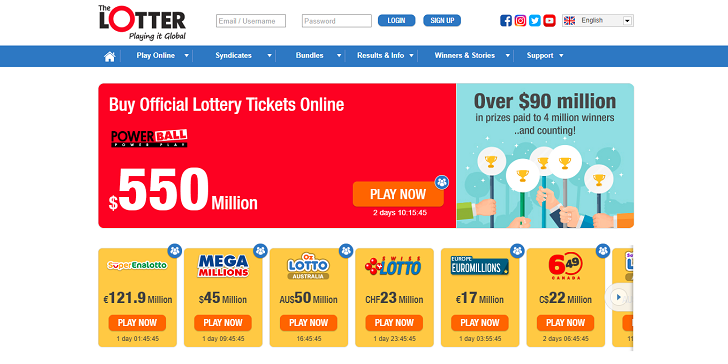 In addition, theLotter players get to claim discounts on certain online lotto tickets. Those offers are even better when you become a VIP member: you can get up to 20% discount if you enter the VIP system… And you can also get free tickets and instant VIP points by Subscriptions. Gaming is obviously the #1 reason why you should join the site. There are 50 online lotto games here. These include the likes of US PowerBall, MegaMillions and Italian SuperStar, for example. All these games come back to give you an opportunity for a life-changing jackpot prize. We’re talking about hundreds of millions of US Dollars here. You should be ready to play by now.